Two career centers, Warren County Career Center and Laurel Oaks Career Campus (Great Oaks), were among Ohio schools receiving a Purple Star designation for their commitment to serving military-connected students and their families. State Superintendent of Public Instruction Paolo DeMaria announced Dec. 7 that 57 Ohio schools received the designation; it is the first time career centers are among those recognized, according to ODE. “Purple Star schools provide our military children and families with the resources they need to be successful. We’re thankful for their service and honored to continue the important work of improving services for Ohio’s military families,” said Superintendent DeMaria. The Purple Star designation for military-friendly schools recognizes schools that show a major commitment to serving students and families connected to our nation’s armed forces. The Purple Star Advisory Board, formed by the Ohio departments of Education, Higher Education, Veterans Services and Adjutant General, helps decide eligibility. There are 34,000 children in Ohio with one or more parents serving in the military. This includes the children of active duty, reserve and Ohio National Guard members. Some of these children will attend six to nine different schools throughout their K-12 educational experiences. In addition to changing schools often, a student can be affected by a parent’s deployment. Schools can help students and families face these issues by connecting them with the resources they need. The full list of schools receiving the designation and how to apply can be found by clicking here. The Ohio Senate Education Committee convened Dec. 5 to consider a number of bills, including HB 491—which focuses primarily on licenses for pupil service personnel. Importantly, the committee accepted an amendment to HB 491 that addresses student graduation requirements for the class of 2019 & 2020. The amendment extends the additional options in place for the class of 2018, to the class of 2019 with no changes. The amendment also extends the added options one additional year to 2020, but with a few minor modifications. 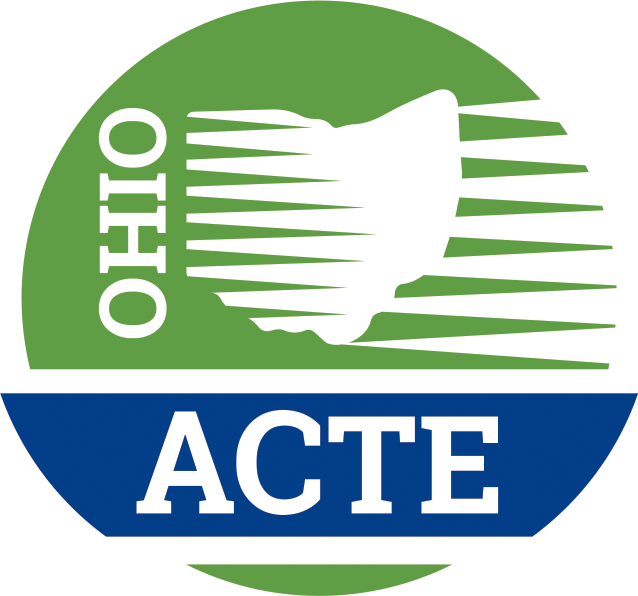 Ohio ACTE has been advocating for an extension of the additional options and is pleased to see the Ohio General Assembly’s progress on the issue. We will continue to monitor HB 491 as it moves through the legislature and is ultimately delivered to Governor Kasich for signature by the end of the year. Dates and locations for the ODE Office of CTE Perkins V Regional Meetings. These will be all day meetings, covering the transition plan, with an opportunity for discussion and feedback in the afternoon. Details and registration information to come. Jeffery Bertke, Electrical Trades Instructor at the Upper Valley Career Center traveled to San Antonio, Texas to be recognized as the 2018 Region I Carl Perkins Community Service Award winner at the ACTE Awards Banquet during the ACTE Conference. This award recognizes individuals who have used career technical education to make a significant impact on their community and have demonstrated leadership in programs and activities that promote student involvement in community service. This honor is recognizing him as one of the best CTE educators in the country. Click here to read more. Voters across Ohio approved 121 of 175 public school district tax issues during the Nov. 7 general election. Sixty-nine percent of the school tax issues on the ballot passed, a decrease from the 2017 general election. Ohio voters approved 89 of 122 school tax issues in November 2017 for a passage rate of 73%. Forty-three of 94 new school tax issues were approved Tuesday, a passage rate of 46%. This is a decrease from the 2017 general election when 51% of new tax issues passed. Voters approved 78 of 81 renewal school tax issues on Tuesday’s ballot, a 96% passage rate. This is a slight increase from the 2017 general election when voters approved 90% of the renewal issues. The mid-term election saw Ohio Republican statewide executive office candidates win by large margins. Mike DeWine & running mate Jon Husted defeated Richard Cordray / Betty Sutton 50.66%-46.54%*. All four “down-ticket” Republican statewide candidates—Dave Yost (Attorney General), Frank LaRose (Secretary of State), Keith Faber (Auditor), and Robert Sprague (Treasurer)—defeated their Democratic opponents by similar margins. Republicans also maintained control over the Ohio General Assembly. Although Democrats gained five seats in the Ohio House of Representatives, Republicans retain a supermajority of 62-37. The Democratic pick-ups included 3 seats in Franklin County and two in Northeast Ohio. In the Ohio Senate, Republicans gained 1 seat, increasing their supermajority to 25-8. Republican victories at the state level did not, however, extend to the Ohio Supreme Court. Democrat Melody Stewart unseated incumbent Justice Mary DeGenaro, and Democrat Michael Donnelly defeated Craig Baldwin to replace outgoing Supreme Court Justice Terrence O’Donnell. The state’s currently all-Republican high court will now be 5-2. At the Federal level, Democrats are projected to gain roughly 37 seats in the U.S. House of Representatives and take control of the majority. However, Republicans are projected to gain 2 seats in the U.S. Senate, increasing their majority to 53-47. All federal congressional incumbents from Ohio retained their seats, and those running to replace incumbent Republicans emerged victorious as well. Ohio Governor / Statewide Races: Republicans swept all five statewide executive office races. Governor/Lt. Governor: Republicans Mike DeWine/Jon Husted defeated Richard Cordray/Betty Sutton. Secretary of State: Republican Frank LaRose defeated Kathleen Clyde. Auditor: Republican Keith Faber defeated Zack Space. Treasurer: Republican Robert Sprague defeated Rob Richardson. *Projections not yet confirmed and are subject to change. G. James (Jim) Pinchak, PhD of Worthington, died on October 17 after a five-year battle with cancer. He was born in Canonsburg, Pennsylvania on March 30, 1949 to George Frank Pinchak and Angelina Maria Pinchak. Jim’s career in Education spanned 50 years. He began his career as a teacher aide and progressed through the ranks as an academic, career & technical teacher and special needs teacher earning degrees at Miami University, Kent State University, and Bowling Green State University. Jim served over twenty years as a high-level administrator in the Ohio Department of Education before becoming Principal & Director of the Tolles Technical Center in Plain City. He became the first person promoted to the rank of Clinical Associate Professor in The Ohio State University, College of Education & Human Ecology for Career & Technical Education. His OSU graduate program was ranked first among American graduate schools for 2017, 2018 and 2019 by USNWR. He was a leading advocate for Vocational Education and Career Development known throughout the nation and world. Near the end of life, he became a participate and supporter of “adaptive” and wheel chair sports. He is preceded in death by his parents, two infant bothers and his loving wife Deborah Jane Paul. He is survived by his incredible son Nicolo (Nico) Paul Pinchak, Nico’s partner Kelly Holmes and numerous friends, students and extended family. 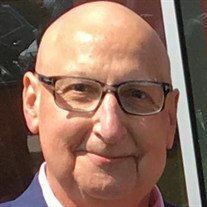 Jim believed he was able to continue to teach and live a full life for so long because of the heroic efforts of the physicians and staff of The OSU Wexner Medical Center and Hospitals. Community stakeholders, including schools, districts, parents and businesses, may submit credentials to the Ohio Department of Education for addition to the list of approved industry-recognized credentials. Applications are due Dec. 31, 2018, for consideration for addition to the list for the 2019-2020 school year. Computer science opens more doors for students than any other discipline in today’s world. Learning even the basics will help students in virtually any career—from architecture to zoology. Just as we teach students how to dissect a frog, or how electricity works, it’s important for every 21st century student to have a chance to design an app or an algorithm or learn how the Internet works. Join Battelle to learn ways to bring computer science to your school. Here are the upcoming Computer Science Workshops for Administrators and School Counselors workshops. You must RSVP to participate. Two dates: Oct. 26 and Nov. 16. Click here for more information/registration.